Shopping for a mattress doesn’t have to be a headache. Yes, there are different types, sizes, materials, and price ranges to consider, but the experts at Star Furniture & Mattress are here to help. Check out our extensive mattress buying guide, which covers everything from when to replace your mattress to how to pick a new mattress. While the general rule of thumb is that you should replace your mattress every seven years, there are certain signs that might suggest it’s time to buy a new mattress sooner. Especially if you haven’t taken proper care of your mattress, you might find significant signs of wear and tear. If, for example, you’re noticing sagging or indentations that are interfering with your comfort, it may be time to buy a new bed. Sleep is incredibly important to your overall health and happiness, so if you consistently find yourself tossing and turning or waking up with aches and pains, purchasing a new mattress might help you sleep better. There are certain health changes that might require a mattress change. If, for example, you develop sleep apnea, you might consider purchasing an adjustable bed to keep your head elevated. If you change from being a back sleeper to a side sleeper, you might also consider switching up the firmness of your mattress to avoid lower back pain and pressure points. Here are some popular mattresses for people with lower back pain. Because beds oftentimes remain relatively comfortable, even after it’s no longer able to provide the support and pressure relief you need, you might not notice you need a new bed until you’ve experienced an even better night of sleep somewhere else. If, for example, you have a more restful night on a hotel bed, or even on a recliner, it might be time to check out new mattresses. At Star Furniture & Mattress, we carry three different types of mattresses: innerspring, memory foam, and hybrids. Within these different mattress types, there are many factors to consider, including size, firmness, price, etc. Also known as coil mattresses, innerspring mattresses are the metal spring mattresses many of us grew up with. They’re made with a steel coil innerspring support system with various foams and fibers on top to provide comfort at the surface. Heavier-gauge (thicker) coils provide a stiffer suspension and lighter-gauge coils feel springier. The number of coils can vary based on the manufacturer, but contrary to popular belief, the coil count is not necessarily as important as the mattress construction. When buying an innerspring mattress, be sure to evaluate the type of springs, their gauge (thickness), and other components such as padding and stitching. While some people consider innerspring mattresses to be out of style, manufacturers utilize new coil technology and construction for more comfort, support, and durability. Made of malleable foam, memory foam mattresses conform to the shape of your body while you sleep, providing comfort and support, regardless of your sleep position. A favorite of people who suffer from aches and pains, traditional memory foam softens when you lie on it and soon molds to your body. Once you get up, it springs back to its original shape. They also transfer less movement, making them great for couples who share a bed. 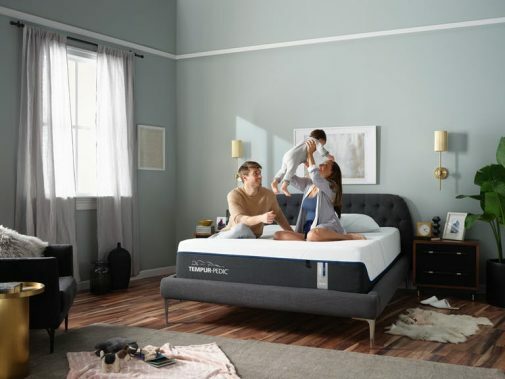 Many popular mattress companies, including Tempur-Pedic and Serta, design high-tech memory foam mattresses that offer gel layers, breathable material, and performance fabric covers for cooling comfort. Learn everything you need to know about memory foam mattresses before you buy. Hybrid mattresses are a combination of innerspring coils and memory foam. Some may also have other comfort layers on top, including cooling gel foam. These mattresses vary in firmness and can usually be used on both standard flat bases or on adjustable foundations. While the innerspring coil construction in hybrid mattresses varies across manufacturers, many are constructed to provide additional firmness when compared to memory foam mattresses. Hybrid mattresses combine the best of both worlds, as the coil system allows the mattress to retain the bounciness that some people prefer on traditional innerspring mattresses while the layers of memory foam create an enveloping level of comfort. The innerspring coil system also gives hybrid mattresses a traditional mattress shape, instead of the straight lines and lower profiles found on most memory foam mattresses. Wondering how to choose a mattress? Look at these different mattress buying considerations and prioritize which ones are the most important to you. Traditionally, mattresses come in six different sizes ranging from twin to California king. While the length and width remain standard across models, the depth of the mattress varies by brand, type, and style. Mattress firmness is typically classified as plush (soft), medium, and firm, though some brands further categorize their mattresses by adding additional descriptors like “medium firm” and “extra firm.” Many people choose their mattress based on their own comfort preference, choosing plush mattresses when they prefer to feel like they’re sleeping on a cloud, medium mattresses when they prefer a combination of softness and support, and firm mattresses when they prefer something more solid feeling. Your level of preferred firmness is often in direct relation to your sleep position and your weight. Side sleepers, for example, may prefer softer mattresses, which better conform to their body and relieve pressure points. The same goes for someone who weighs less than 130 pounds. They’ll likely prefer a softer mattress that is better able to conform to their light body. On the other hand, many people who sleep on their back prefer firm mattresses, which are also preferable for heavier people, as the firmness prevents sagging and indentations. Especially if you sleep with a partner, motion isolation can be an important decision-making factor when buying a mattress. Memory foam mattresses tend to do a better job isolating motion, which makes them a great option for anyone whose partner tosses and turns or who gets in and out of bed at a different time. With spring mattresses, you’re more likely to feel the movement of your partner. Different types of mattresses have different lifespans, and if you’re looking for a mattress that will last, durability is something that should be considered. Here are the average lifespans of the different types of mattresses, however, it’s important to note that certain habits and mattress care techniques can greatly influence the lifespan of your mattress. Even if you don’t live in Texas, many people tend to run hot while they sleep. Hybrid and innerspring mattresses tend to be temperature neutral while some memory foam mattresses can absorb and trap heat, which causes people to sweat more. If you do decide on a memory foam mattress, you may look for options with cooling gel and breathable materials. You can also use special sheet sets and mattress protectors that will keep you cool in the summer heat. Different types of mattresses require different foundations. Most innerspring and hybrid mattresses require box springs, which in addition to providing support, also create a more traditional look—with the mattress being higher on the bed. Memory foam mattresses don’t require box springs, but they provide the best support when placed on slat foundations with less than 8 inches between each slat or platform beds. Some mattresses are even designed to pair with adjustable base beds, which offer adjustable foot and head angles, massage capabilities, and more. Mattresses are a big investment. While they tend to be expensive, they can also last for a long time, especially if you take proper care of them. These mattress buying tips will help you choose the perfect mattress! Don’t come in blind. There are many variables when it comes to buying mattresses, so the shopping process will go much easier if you have an idea of what you’re looking for. Consider whether you’re a back, stomach, or side sleeper, what type of mattresses you’ve had in the past, what you liked and disliked about past mattresses, how much you’re willing to spend, and any health conditions that might be influenced by where you sleep. Feeling overwhelmed? Don’t worry! Especially at a place like Star Furniture & Mattress, our experts will be able to help you narrow down your options, so you’ll be able to find a mattress that will help you sleep for years to come. It can be awkward to lay down on a mattress in the middle of a store, but it’s the best and most efficient way to test out how you’ll feel sleeping on it. We recommend trying out any positions you regularly sleep in and staying there for a few minutes in each one. If you sleep with a partner, you should both try out the same bed at the same time, that way you can get a feel for how the bed moves and sounds when your partner moves. Try spending at least ten minutes with any mattress you’re seriously considering purchasing. When buying a mattress, you’ll want to make sure you understand the store’s return policy and the mattress’ warranty information. At Star Furniture, we want to make sure you’re completely satisfied with your mattress, which is why we provide mattress buyers with a 90-day satisfaction guarantee. As far as mattress warranties go, be sure to ask for the warranty information and discuss the details with your salesperson. Some mattresses have up to 10-year limited warranties, though this varies based on brand. Safely transporting a mattress can be complicated because of their shape and size, and it’s important to transport carefully as to not damage the mattress. Before you buy a mattress, make sure you have a plan for how to get it home. 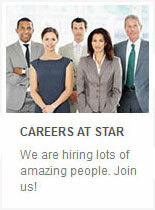 At Star Furniture & Mattress, we offer free delivery on mattresses over $999. so you won’t need to worry about transportation. Whether you’re looking for soft, medium, or firm mattresses, Star Furniture & Mattress has you covered. When you shop with us, you’ll find innerspring, hybrid, and memory foam mattresses for every budget. Looking for the best plush mattresses in Texas? 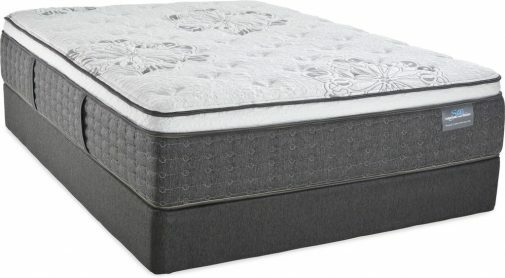 This Tempur-Luxe Adapt memory foam mattress features optimal softness paired with maximum pressure relieving power. Not only does it feature a cooling technology and a removable cooling cover, but it also has superior motion cancellation, so you won’t automatically wake up when your partner does. The best part? It comes with a 10-year limited warranty, so you know it’s built to last. The best hybrid mattresses offer the support of innerspring and the comfort of memory foam, all wrapped into one mattress. 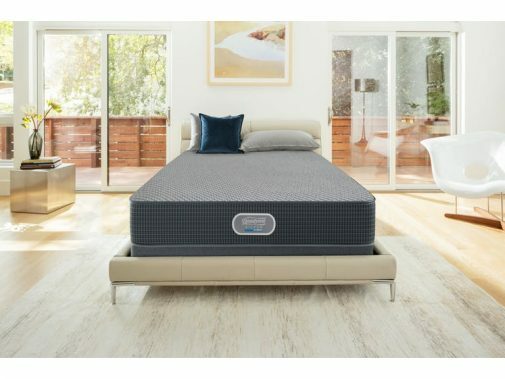 This mattress from Beautyrest contains natural silver, which helps keep you cool while you sleep and prevents bacteria, mold, and mildew growth. Plus, the combination of memory foam and pocketed coil technology provides individualized and conforming back support, so you’ll wake up ready to take on the day. It even has a 10-Year limited warranty, so you can rest assured you’re getting a quality mattress. When you visit Star Furniture & Mattress, you’ll find a variety of the best firm mattresses available, including this innerspring mattress from Yellow Rose. Sold exclusively at Star, this mattress comes with a latex lumbar support system, over 1,000 active and reactive coils, a foam encasement for greater stability, and a firmer seating edge to prevent sagging and indentations. It’s even compatible with adjustable mattress base options. Plus, it comes with a 10-year warranty for extra security. Thinking about buying a mattress? 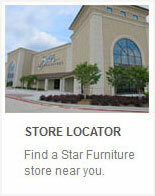 The experts at Star Furniture & Mattress can help you at every stop along the way. From this mattress buying guide to our friendly staff of mattress experts, we’ve got the information you need to make an informed decision. Thinking of redoing the whole bedroom? In addition to our huge selection of new mattresses, we offer plenty of bedroom furniture for every style and every budget. Plus, our Interior Design Blog features important tips and tricks for mattress buying and beyond, including everything from how to care for your new mattress to the hottest design trends of 2019. Start shopping today!